Yoga is a slow and purposeful type of movement that has more benefits than one can count for an overall healthy lifestyle. Though it’s been around for ages, yoga has been becoming increasingly popular in recent times. While there are many popular types of yoga, some variations are more beneficial than others for particular benefits. The ones discussed in this article are ideal for overall health and wellness. 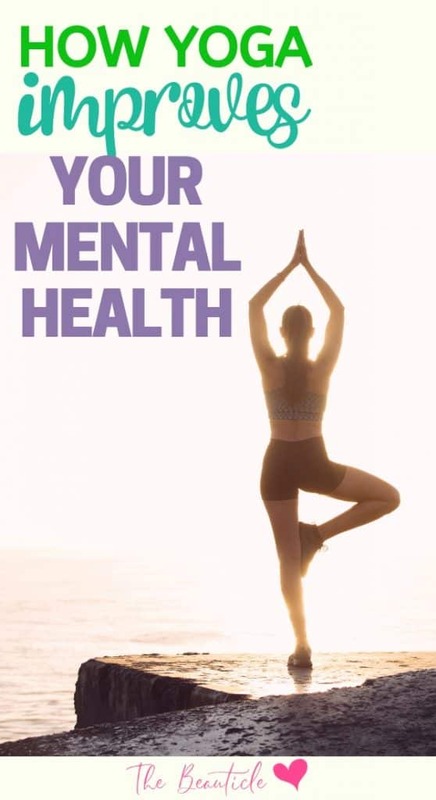 Further on we’ll also look at how yoga can improve your mental health. Yoga has a 5,000-year history of providing a multitude of health benefits to its followers. This ancient form of movement has made its way onto the forefront of the very trendy health and wellness movement. Doctors and specialists alike now consider this holistic form of treatment as a valuable part of one’s overall health journey. Yoga, although broad, can be broken down into divisions that focus on a specific concern. There are specific poses for circulation, anxiety, and even mental clarity. If you are interested in dabbling in yoga, the spectrum is quite large and there are many types to choose from. Fortunately, we’ve compiled a list of the four common yoga types and their function that help to promote health and wellness. Let’s begin by breaking down a few common terms found in the world of yoga. Asanas are known as the specific poses instructors have their participants do. Some familiar ones are downward facing dog, warrior pose, and child’s pose. Pranayama is the specific breathing exercise that accompanies the pose. Sequences are the order in which poses need to be performed. Since yoga is focused primality on control and discipline, it’s no wonder that there would be an order to completion. If you are becoming acquainted with the idea of yoga, Hatha Yoga is an awesome place to start. When translated, Hatha means sun and the moon. In the world of yoga, it is said to bring about balance. Hatha Yoga is a combination of asanas and pranayama that slowly introduce the body and mind to the concept of yoga. This class is conducted slowly and with a lot of instruction from the teacher. You will be introduced to common poses that help to alleviate stress, tension, and promote relaxation. Vinyasa is an excellent type of yoga for increasing your heart rate and building strength. The exercises are focused on breathing in one pose and exhaling into another. The common “sun salutations” are usually referred to in vinyasa yoga. This form of yoga elongates the muscles and is excellent for burning calories! In addition, because vinyasa is a constant flow of poses, it can dramatically decrease chronic pain found in the body. This is where the focus, determination, and skill set come into play. Ashtanga, or “power” yoga, requires physical strength and fluidity. There are no breaks in between poses as you are constantly moving. This is for the serious yogi who is seeking to improve their skillset. Your muscles are intensely engaged as you have to hold your body weight to perform these moves precisely. These yoga positions are awesome if you are looking to tone your body or lose weight. This form of yoga has gained popularity over the last few years, as “hot yoga” studios have become accessible to the masses. This form of yoga focuses on the purification of the body, and the release of toxins through intense sweating. There are 26 poses carried out in a 95-degree room. Some studios even increase their temperature to 100 degrees! Bikram yoga also comes with a host of cardiovascular benefits as it increases blood and oxygen circulation throughout the body. If you are interested in this form of yoga, consult with your healthcare professional as it may be extremely intense on the body. Yoga can provide a host of health benefits along with mental clarity for interested participants. In addition, yoga can provide a sense of belonging as it creates a community of like-minded people. 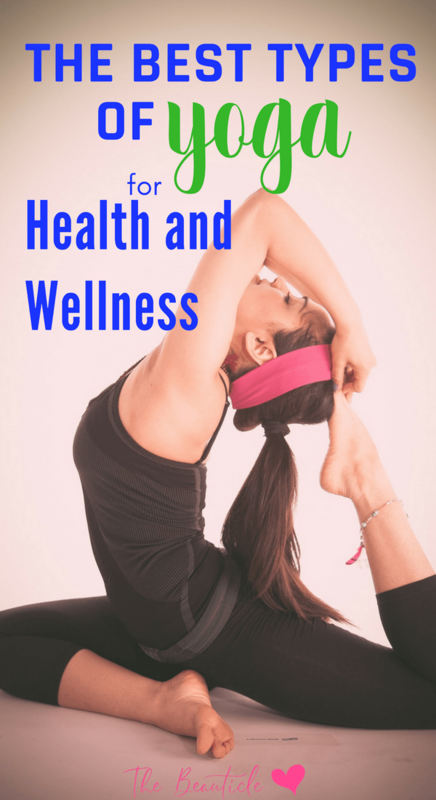 Check out over 15 ways that yoga benefits your health and fitness here. If yoga is not currently a part of your fitness library, but it may be time to try something new! Yoga gets high marks for not only bestowing our bodies with a wealth of health benefits but helping us to enhance our overall strength and flexibility. Yoga is so powerful that it relieves chronic back pain, supports the treatment of epilepsy, irritable bowel syndrome and high blood pressure It’s no wonder that more than 13 million adults choose to participate in something that is more than 5000 years old. In addition to relieving those unwanted aches and pains, one positive aspect of yoga that many people may not know exists is the power that yoga can have on your mental wellness. Aerobic activities like walking or running may help you navigate a few of life’s hurdles, but yoga can be an excellent alternative weapon for battling stressors that can mentally drain you and evoke negative energy. Here are five ways yoga benefits your mental health. Yoga gives us the tools necessary to overcome feelings of anxiety. The combination of physical poses, deep and controlled breathing coupled with meditation and relaxation delivers a calming effect on the body, slowing your heart rate, reducing cortisol levels, and lowering your blood pressure. Are you feeling down in the doldrums? You are not alone. Depression affects more than 350 million people worldwide and 16 million in the United States. If you are considering the use of yoga for your depressive symptoms, hatha yoga described above just may be the key to lifting the weight of the world from your shoulders. Studies show that yoga can serve as an alternative approach to traditional management of depression. So, if you are one who would prefer to not engage in psychotherapy or antidepressants because of the side effects, the risk of an adverse outcome, or personal choice, yoga may be a fantastic substitute. Hatha yoga is perfect for beginners who are just deciding to embark on the yoga lifestyle; it encompasses the use of meditation, positions, and breathing exercises which can boost your state of mind in only twelve sessions. No one likes being around someone whose mood swings like the pendulum on a clock; nor do we enjoy being a clock that houses the pendulum. Regular yoga sessions are a fantastic way to elevate your mood naturally. Yoga increases the release of positive emotions, helping to treat stress while also keeping those pesky negative emotions in check. Amazingly, studies show that yoga can have a more significant impact on your mood than walking. Our mental wellness begins with a good night’s rest. Poor sleep habits not only affect your physical health, increasing your risk for conditions like diabetes and heart disease, but it can multiply your risk for increased symptoms of depression or anxiety. Yoga helps you to overcome sleep disturbances like insomnia by inducing deep relaxation, reducing stress, improving oxygen consumption, promoting relaxation awareness, satisfying emotional stability while refining your overall sleep quality. There’s nothing like entering into a room full of people and feeling the power of your inner self-confidence. There are several poses within yoga challenge our strength, flexibility, and coordination. Over time, as you begin to conquer each of these poses, a sense of accomplishment wells within and demonstrates that even the impossible is possible with practice and focus. Adding yoga to your busy schedule is an excellent way to not only improve your mind, body, and spirit but the overall quality of life. Should you choose to embark on a yoga regimen, remember to start slow. While this practice of the mind and body may appear harmless, if done the wrong way, you could injure yourself. Try to get into a yoga class with an expert who has proven results. As you begin your journey, try out various forms of yoga and determine which is right for your routine and body. By doing so, you are setting your body and spirit up for a lifetime of success!